As weather permits, normally from May into October, the quarry is excavated in anticipation of the treasures to be found just below the surface. Each layer of rock is removed by hand, using hammers, chisels, saws and shovels. 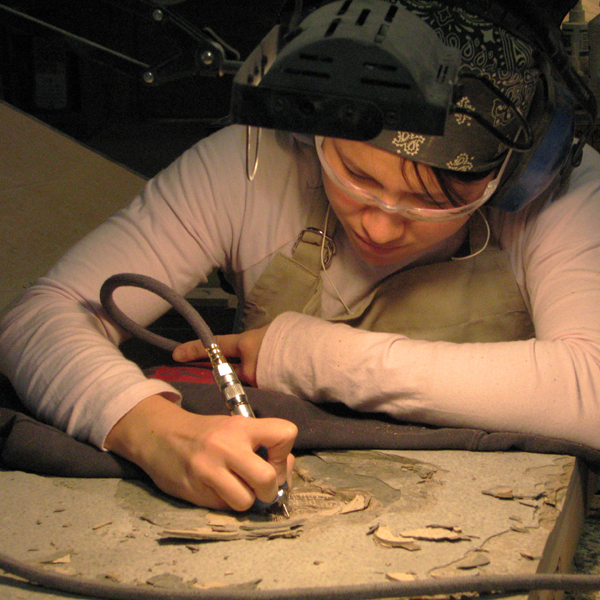 As each stone is removed, the layer below is inspected for evidence of fossils hidden within. By angling the stone slab perpendicular to the sun or using lanterns to light the stone from the side, subtle bas-relief patterns appear. On-site experts determine the species of fish, its size, and its orientation. 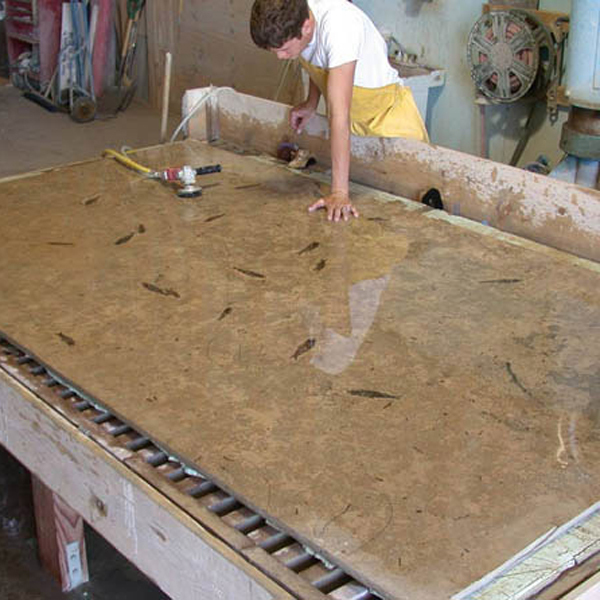 The selected stone slabs are carefully loaded and driven to a preparation lab in Utah. 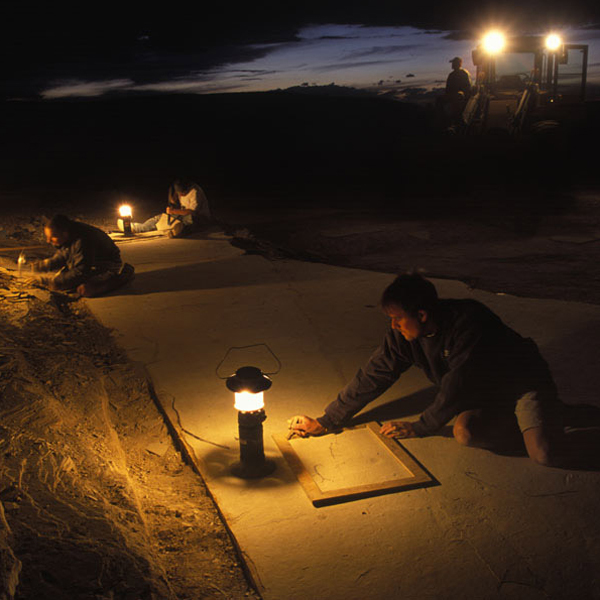 There, technicians evaluate each slab, and decide how it should be prepared. 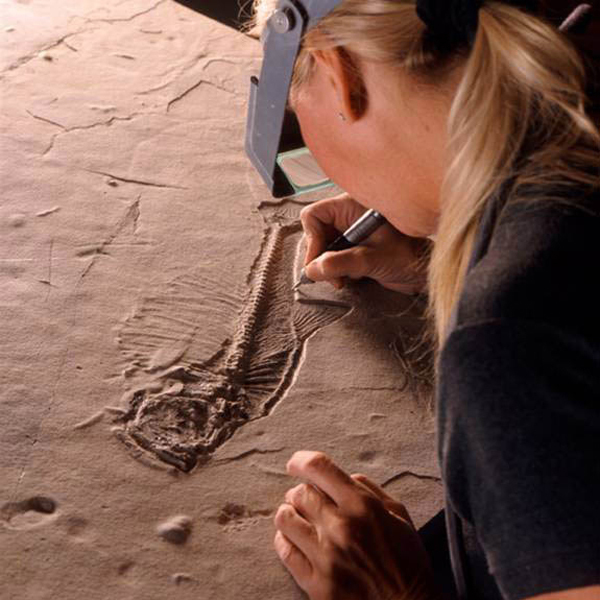 Depending on the size of the piece, the hardness of the layer and the condition of the fish, different fossil preparation techniques are used. A miniature jackhammer is used to chip away stone surrounding the fossil, then a miniature sandblaster shoots a fine stream of dolomite particles, removing the last bits of stone to reveal the pristine fossilized specimen. Sometimes dental tools are used for extremely fine detail. The finished fossil mural is a snapshot in time, a timeless piece of natural art. 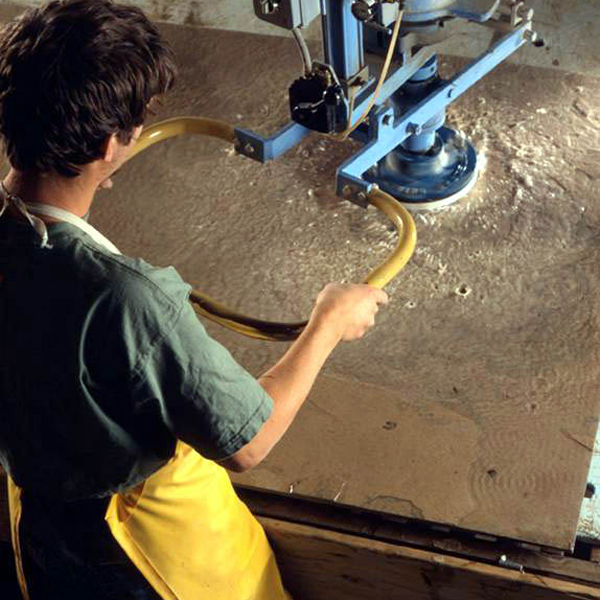 Unlike other decorative stone, each is truly one of a kind. We take pride in offering you the opportunity to own a 50 million year old piece of nature. Fossils from the quarry now hang in museums and private collections around the world, including countless fish fossils, several palm frond fossils, freshwater ray fossils, bird fossils, a 52″ long Trionyx turtle fossil, and a crocodile fossil.